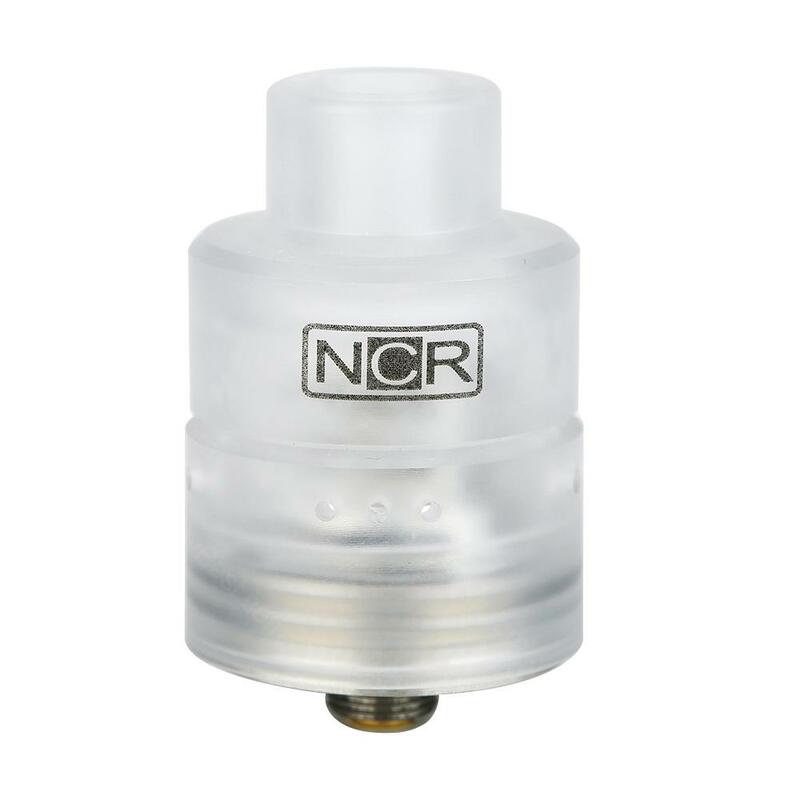 NCR New Concept RDA Nicotine Reinforcer brings innovation to rebuildable tanks! It features coil-free design for no wire building. Just clamp the cotton and enjoy the flavor! Are you tired of the wires, coils and time-consuming building? 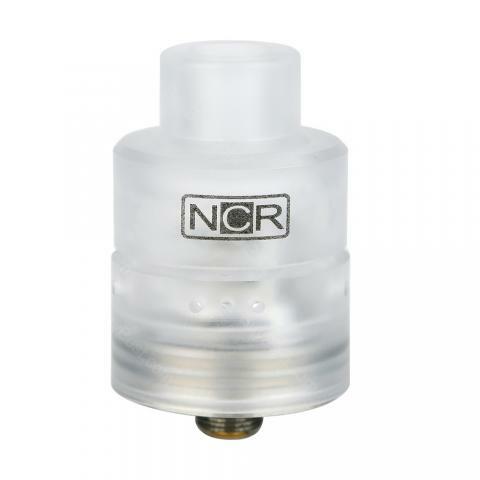 Then the NCR Nicotine Reinforcer RDA is right here for you! It features a food-grade PC outer cover with venting holes, providing a safe vaping experience. The 600,000 times cycle-uses a WAFER heater that holds up the resistance of 0.4-0.5ohm and is capable of self-cleaning within a short-time dry burning in 30-40W. This pack also comes with a heat-isolation gasket. • How to fold the cottons: Pre-cut Organic cotton is strongly recommended. Cut each piece of cotton into a strip with the size of 8mm(width)* 40mm(length). Fold the cotton strips from middle and cover the wafer heater from the top and insert the cotton ends into the deck. • How to fix the cotton holder: Put on the aluminum cotton holder to fix the cotton strips. Make sure the cotton strips are fixed properly for E-juice soaking and vaporization. Moisten the new cotton with E-juice from all the openings on the top, bottom and all 4 sides of the cotton holder. • Output modes selection: The MOD with AOC Power mode（Adjustable Output Curve）or Boosting mode is strongly recommended. To optimize the wafer heating function, please set up a considerably high wattage（70W-80W）at the initial firing stage for around 0.5-1 second, then drop the wattage to a relatively low level(40W-50W) to last for another 2-3 seconds. Users may customize the Power mode settings to personal preference. • Clean the dirt and stains on the Wafer Heater: After being used for some time, you need to clean the Wafer Heater. Remove the cotton holder and give the Wafer Heater a dry burn at 30W-40W in 3 seconds. A fine grade sand paper can also be used to rubbed off the stubborn stains on the Wafer Heater. For regular maintenance you may use a toothbrush to clean the RDA deck and all connections with household detergents. • You can select cotton for easy building. This NCR RDA is indeed with a new concept. No need to wick those coils, saved the hassle.